If you are looking for a drawstring bag which acts as a value builder in all seasons, then look no further than this customized coil cinch backpack drawstring bag. 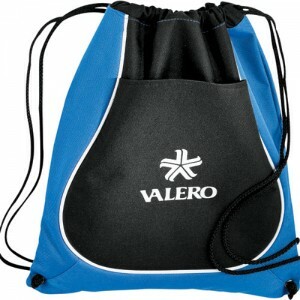 This bag attracts with its hour glass figure, which offers crisp white piping around your logo. You can employ it as a tradeshow giveaway, festive complimentary gift, acknowledgement token during corporate events and many more. This drawstring bag attracts with appealing features, adorability and above all utility. Request a quote to know wholesale price savings offered on bulk orders of this personalized coil cinch backpack drawstring bag. 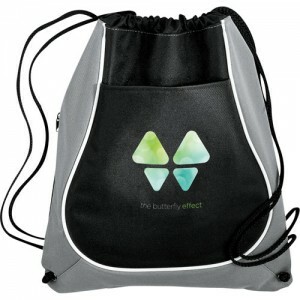 Features –Carry over the shoulder or like a backpack with the adaptable drawstring design. Open front pocket. Open main compartment, which cinches at the top.Quick-access zippered pocket with mesh lining.